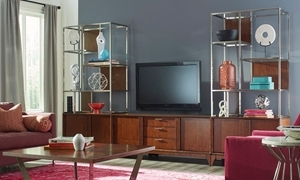 Upgrade the focal point of your living room with the Simply Urban media console from Klaussner. Its contemporary design successfully combines the energy of a bustling city and the inspired work of fine artist and North Carolina native William Mangum. This 62-inch piece features three full-extension dovetail drawers and two cabinets for all your entertainment needs. 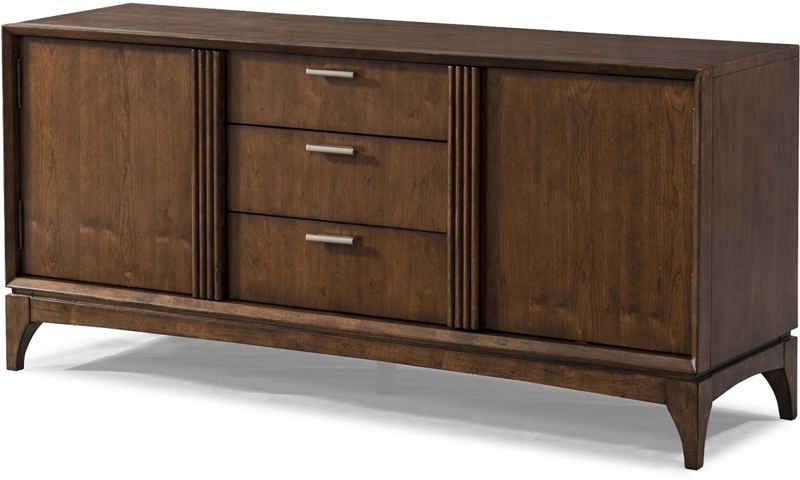 At once both timeless and trendy, this console nods toward mid-century styling with eye-catching nickel handles, tambour detailing and tapered feet in a warm, brown cherry finish.